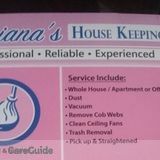 I have been cleaning for over 10 yrs and I enjoy what I do. My dudtes include window washing, and poloshing hard wood floors.I have been cleaning for over 10 yrs and I enjoy what I do. My dudtes include window washing, and poloshing hard wood floors.I have been cleaning for over 10 yrs and I enjoy what I do. My dudtes include window washing, and poloshing hard wood floors. Are you looking for a professional attic cleaning service in El Monte, California who has the experience to deal with: infestations, rodents and the repair of damaged insulation? Are you looking for an attic cleanup in the El Monte area from a professional who knows how to clean hard to reach crawl spaces effectively? Do you have squirrels, rats or pigeons contaminating your attic? 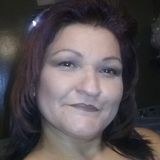 HouseKeeper.com is a network that quickly and securely links you to a community of professional attic cleaners in El Monte, California available for hire!